LET THE MANIA BEGIN! #CalypsoMania starts on our Twitter page Monday, March 18th. 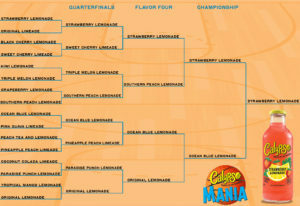 Vote each day for the flavor you want to win in our tournament bracket. We’ll be picking our own winners at random from those of you who vote – giving away Calypso Prize Packs, Stress Balls, Beach Balls, Sunglasses, T-Shirts, Koozies and much more! 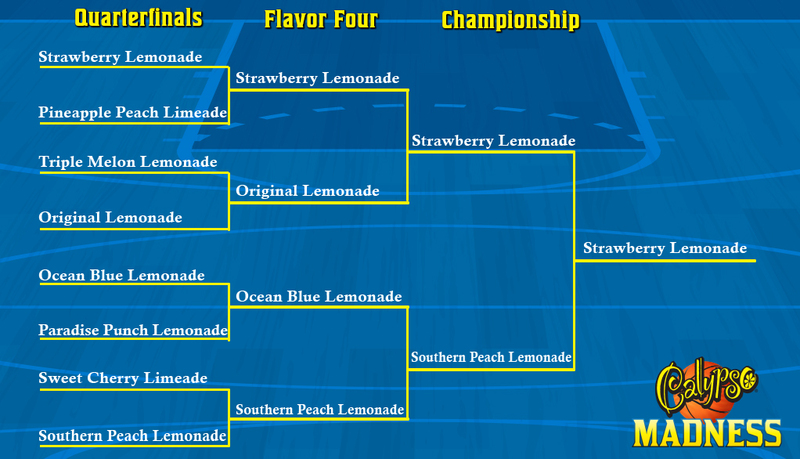 Watch the exciting outcome on the live brackets below! 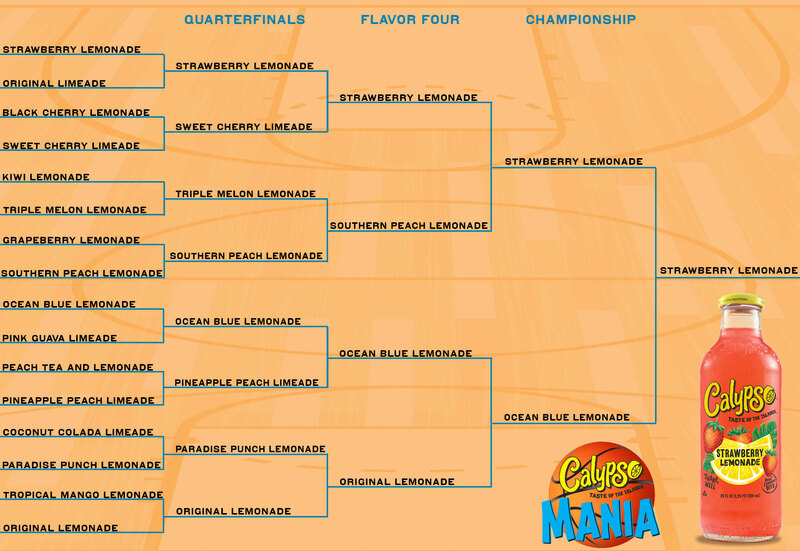 Strawberry Lemonade is looking to defend its title, but you never know what can happen during CALYPSO MANIA! 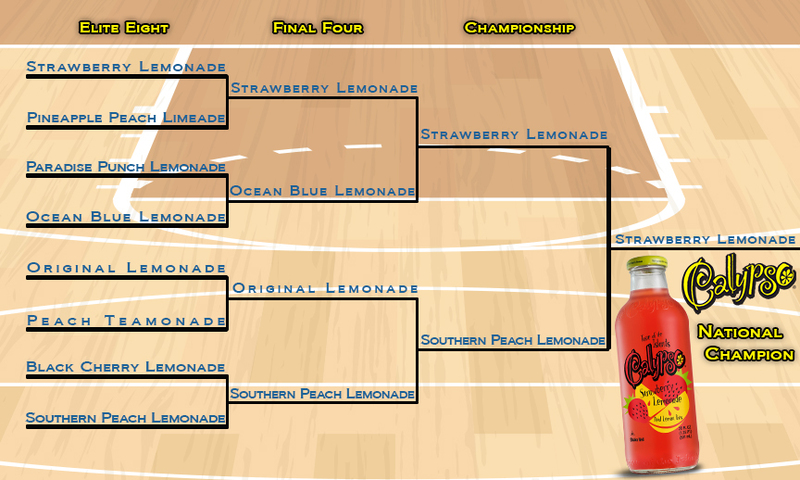 Check out last year’s tournament bracket HERE.